REPORT - Authoritarian abuses and covert elimination of dissident voices in Burundi. What role for the European Union ? With this new report, the European network for Central Africa (EurAc) wishes to draw the attention of European political decision-makers, at all levels of power, to the gravity and the risks of the situation in the DRC. The next step is to provide them with action plans, on the one hand for the adoption of strong and urgent measures to prevent this crisis leading to a serious escalation of violence and a regional security crisis, and on the other to support the electoral process in such a way as to bring the country out of the current stalemate. These action plans stem from an assessment of the current political situation and the security risks in the DRC, and the responses that the EU and its Member States have provided so far and those that they should strengthen in order to prevent a further escalation of violence and new abuses in the DRC. REPORT - Elections in danger & political crisis in the DRC. Is the EU up to the democratic & security challenges? FR - Le Réseau européen pour l’Afrique centrale (EurAc) et ses membres condamnent l’inquiétante escalade des violences ces derniers jours au Burundi et tiennent à exprimer leur solidarité aux organisations de la société civile burundaise. Ils appellent la Communauté Internationale, et l’UE en particulier, à répondre avec fermeté à la dégradation alarmante de la situation politique et sécuritaire au Burundi, et à prendre des mesures fortes afin de prévenir le glissement vers une guerre civile qui aurait inévitablement des répercussions dramatiques sur la région des Grand Lacs. POLICY BRIEF (in French) - Face au simulacre d’élections au Burundi, l’UE doit prendre des sanctions ! FR - Le Réseau Européen pour l’Afrique Centrale (EurAc) et ses membres appellent l’Union Européenne (UE) à ne pas reconnaître les résultats des élections au Burundi et à prendre les sanctions appropriées à l’encontre du Président Nkurunziza et de son gouvernement. POLICY BRIEF - Burundi: 3 months to go until the elections. Vigilance by the EU has never been so needed! 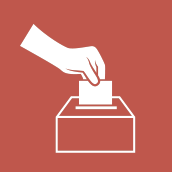 Three months from the holding of legislative and local elections in Burundi (on 26 May 2015), which will be followed by presidential elections (26 June) amongst others, and numerous concerns persist about the democratic nature of the entire electoral process. On this occasion, EurAc would like to reiterate that "only the organisation of an inclusive, transparent and peaceful electoral process would enable the country, which is still in a post-conflict situation, to overcome the political deadlock caused by the 2010 electoral process". This is why, taking into account certain developments that have taken place in the last few weeks, the European Union and its Member States must continue to closely monitor the pre-election, election and post-election situation, if necessary strengthening their political dialogue with the Burundian authorities.